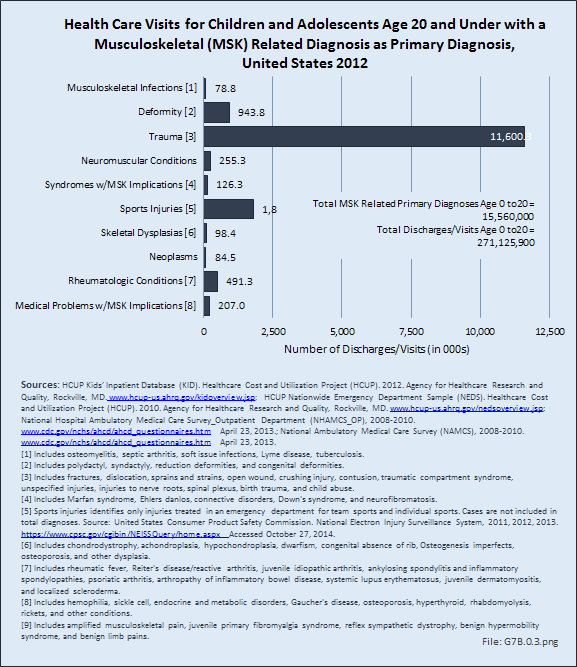 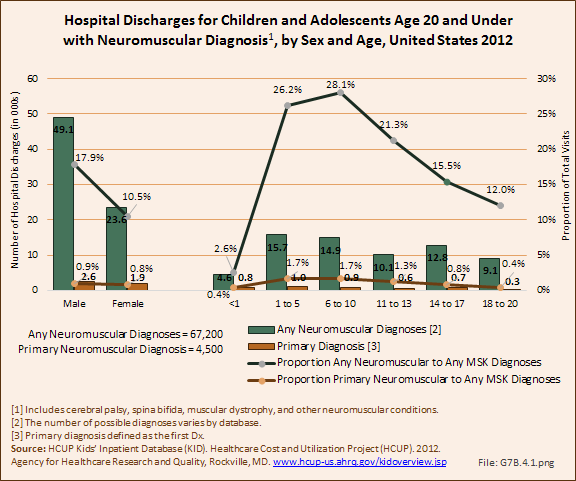 Males were more likely to be hospitalized than females for both any neuromuscular diagnoses or as a primary diagnosis. 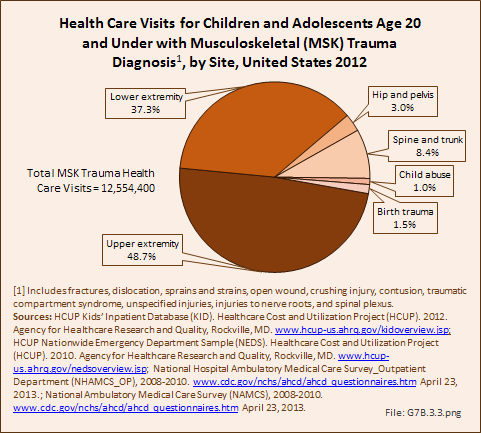 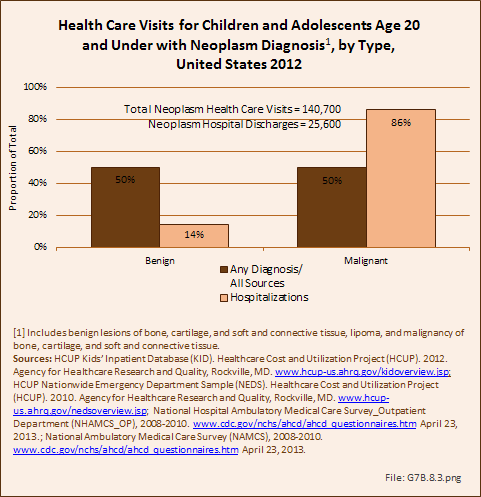 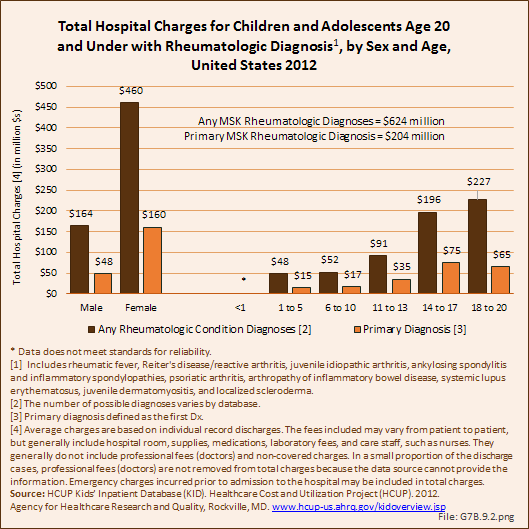 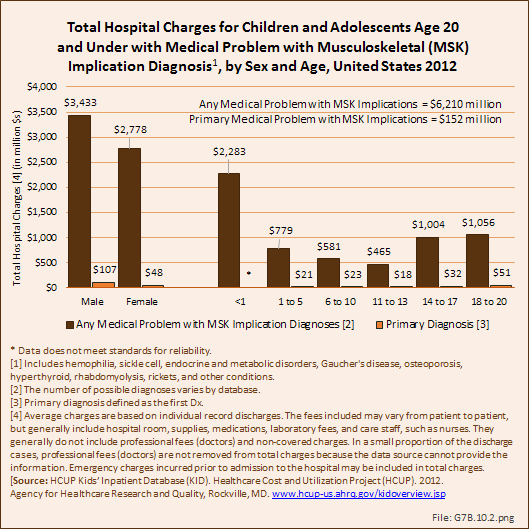 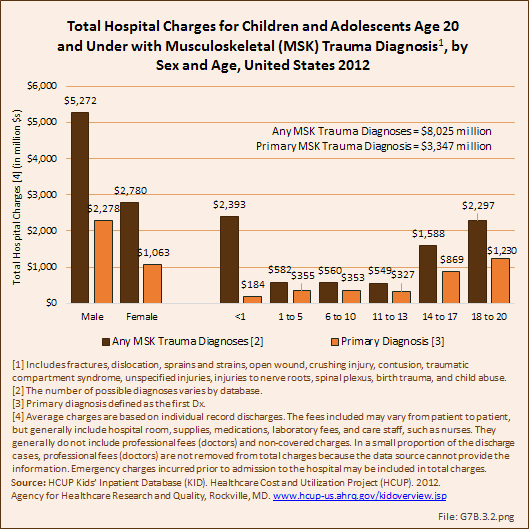 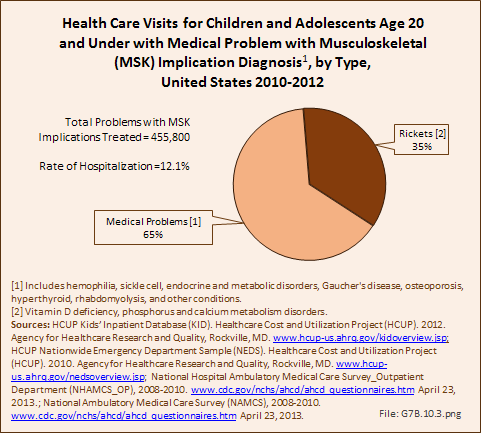 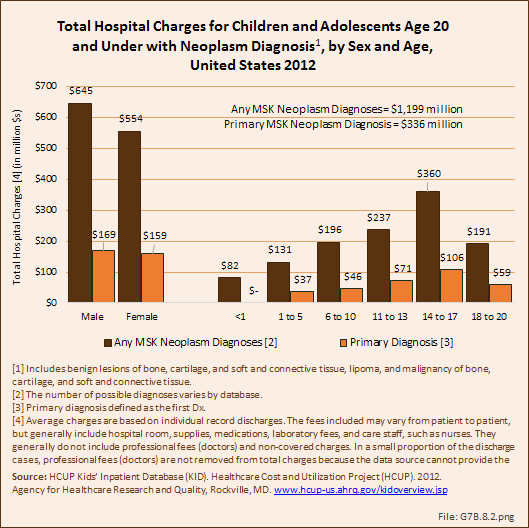 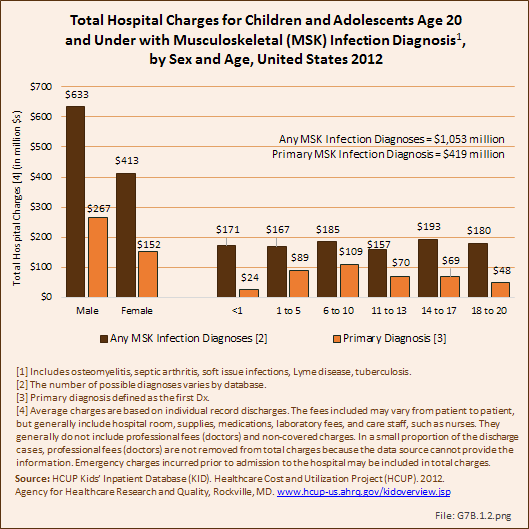 Children ages 6 to 10 years had the highest rate of hospitalization, both with any diagnoses and as a primary diagnosis. 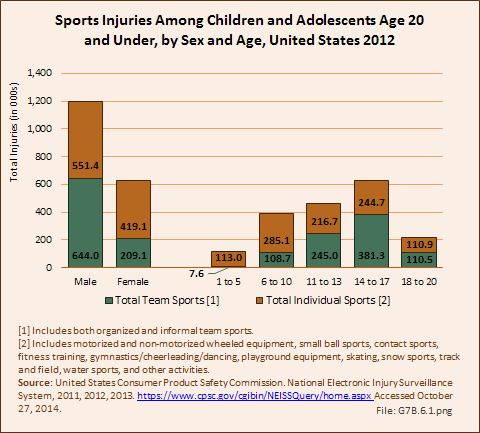 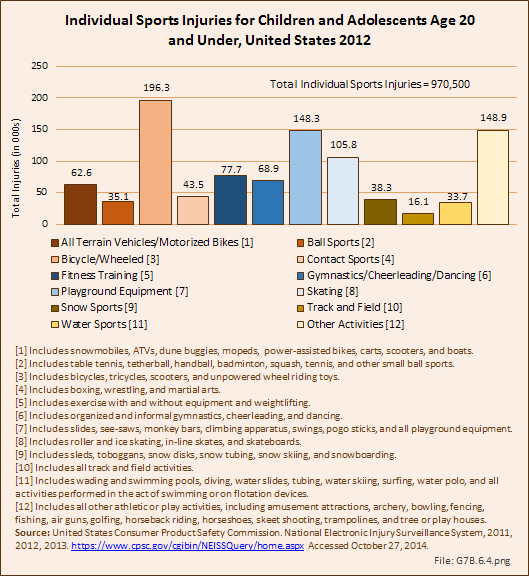 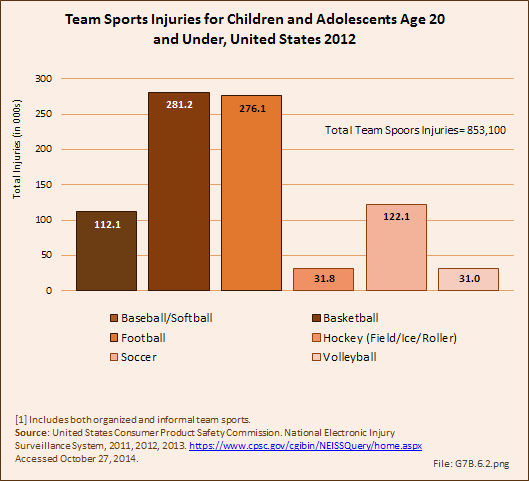 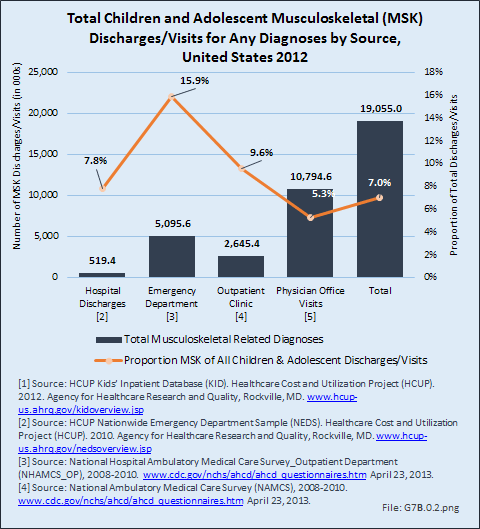 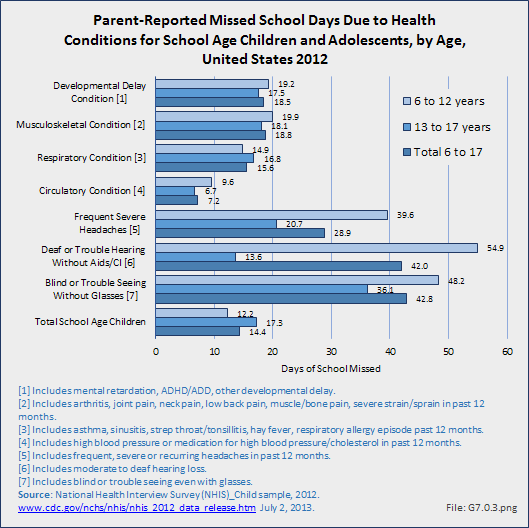 Rates of hospitalization declined as children age. 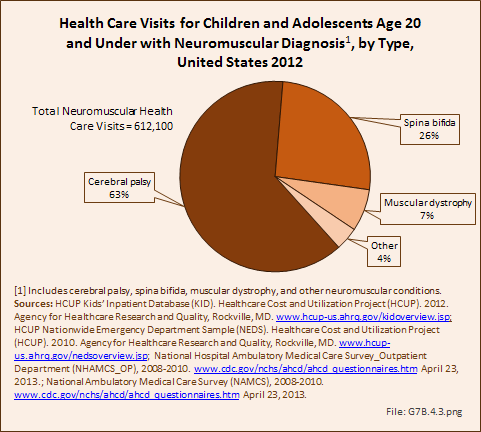 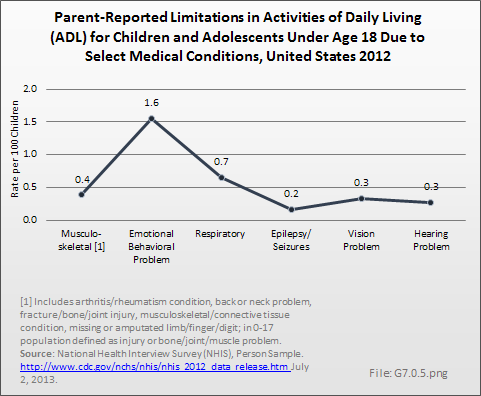 Cerebral palsy was diagnosed in two-thirds (66%) of hospital discharges. 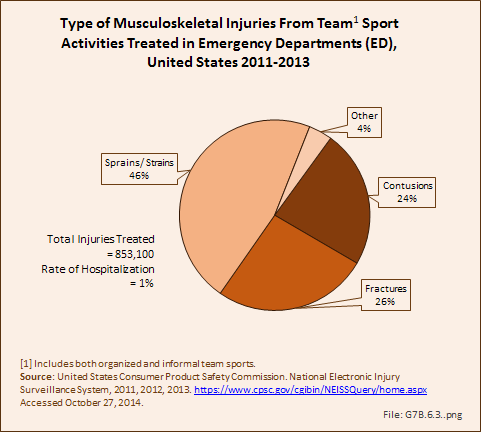 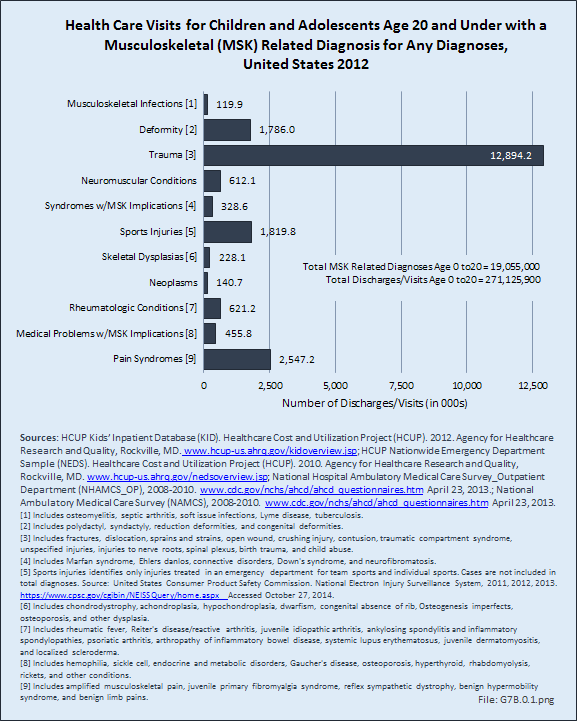 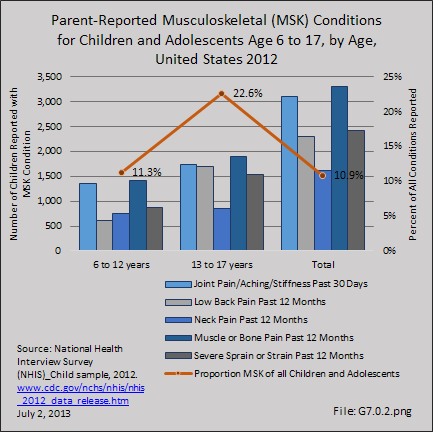 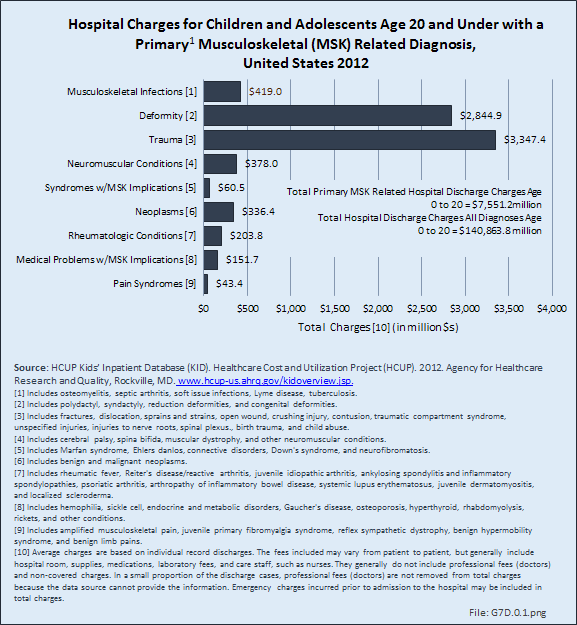 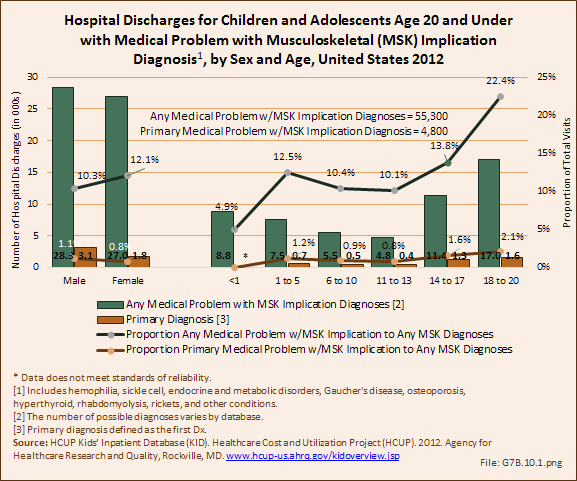 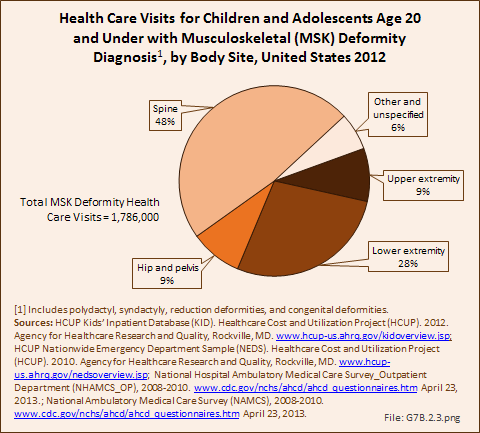 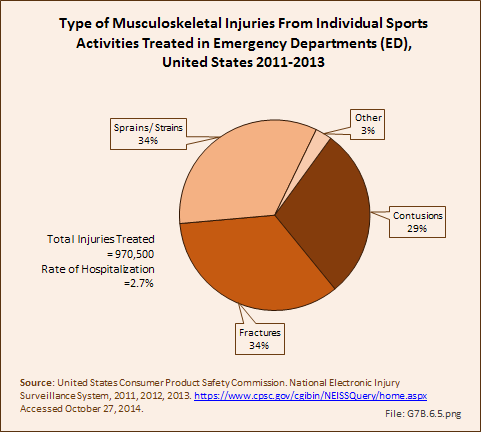 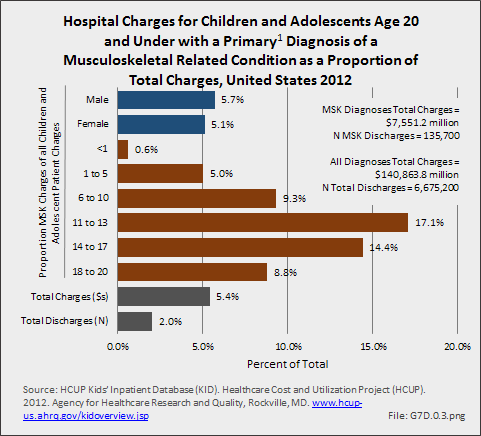 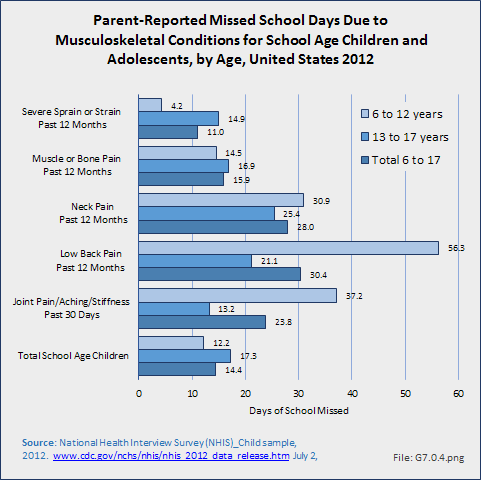 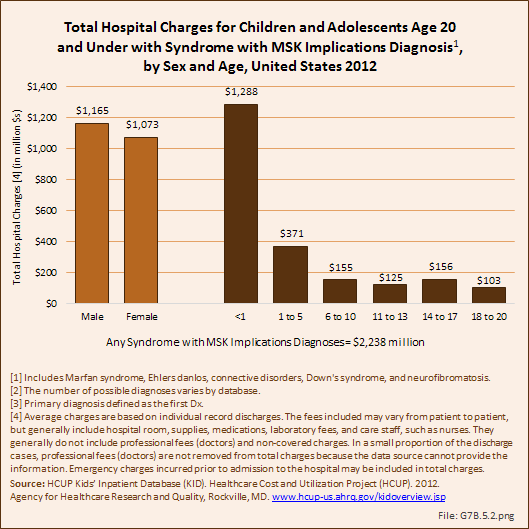 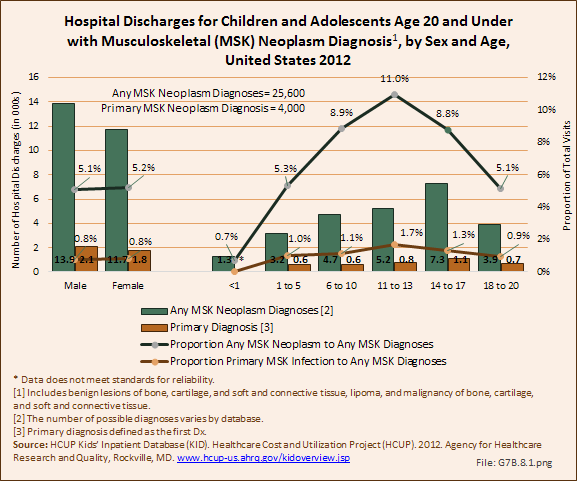 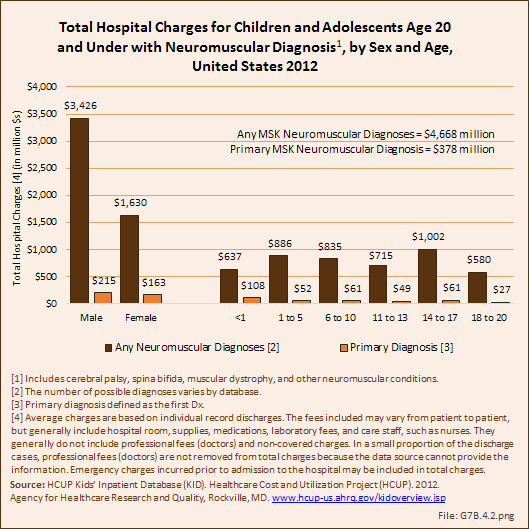 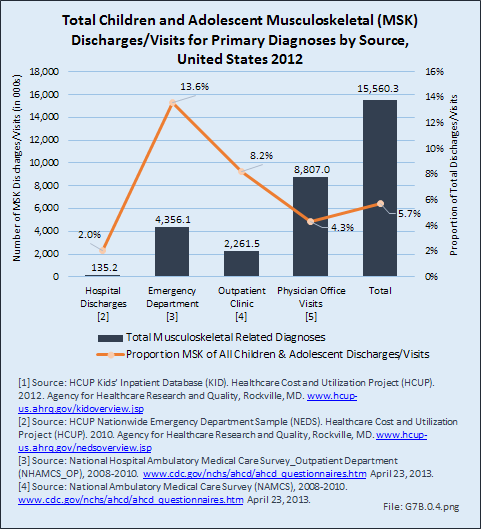 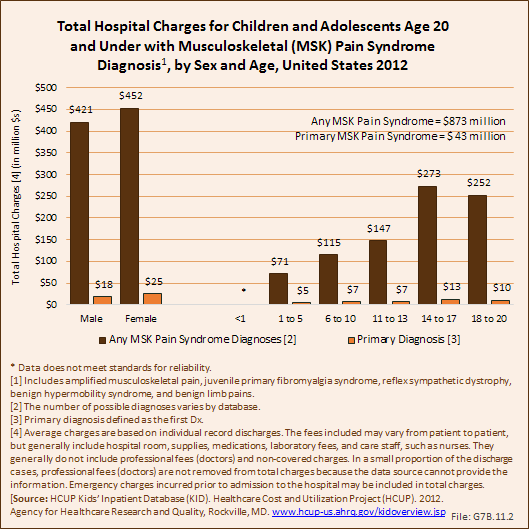 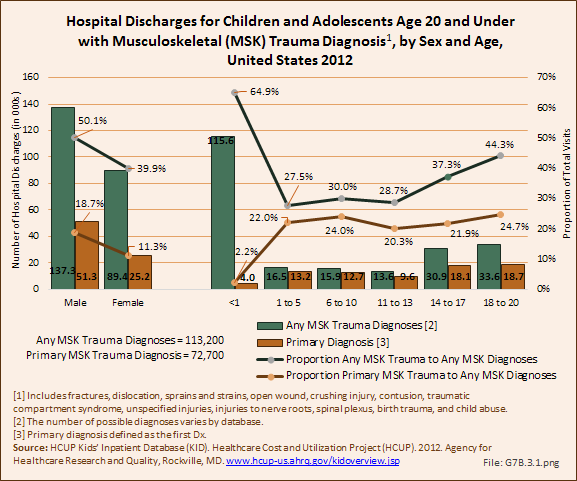 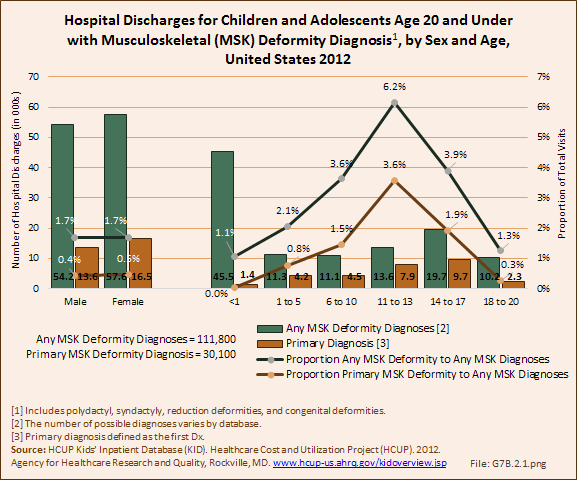 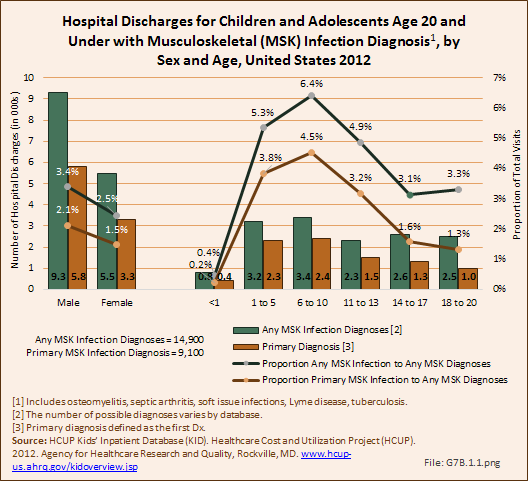 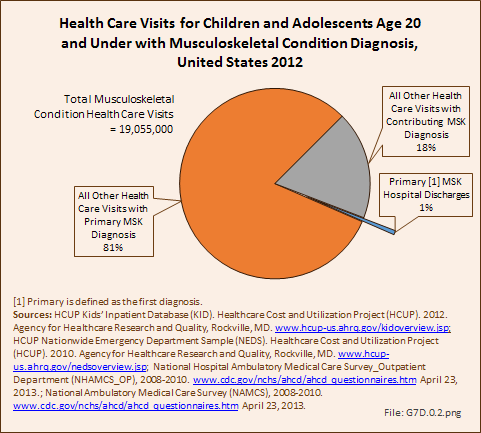 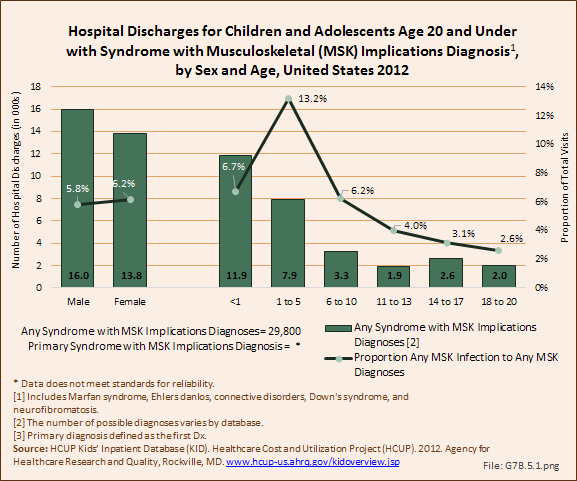 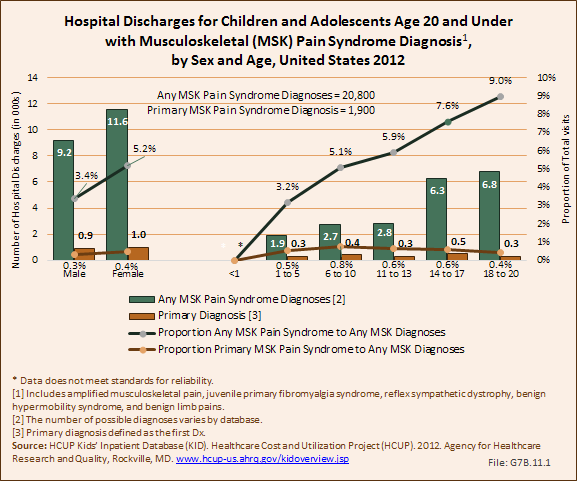 Spina bifida and muscular dystrophy represented 18% and 8% of discharges, respectively.